Understanding why some problems are better solved by one algorithm rather than another is still an open problem, and the symmetric Travelling Salesperson Problem (TSP) is no exception. We apply three state-of-the-art heuristic solvers to a large set of TSP instances of varying structure and size, identifying which heuristics solve specific instances to optimality faster than others. The first two solvers considered are variants of the multi-trial Helsgaun’s Lin-Kernighan Heuristic (a form of iterated local search), with each utilising a different form of Partition Crossover; the third solver is a genetic algorithm (GA) using Edge Assembly Crossover. 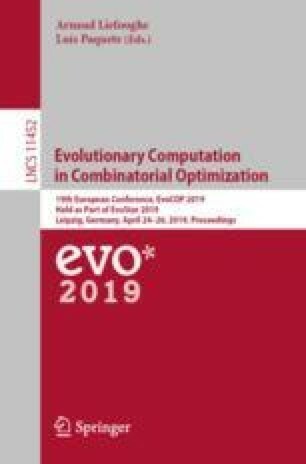 Our results show that the GA with Edge Assembly Crossover is the best solver, shown to significantly outperform the other algorithms in 73% of the instances analysed. A comprehensive set of features for all instances is also extracted, and decision trees are used to identify main features which could best inform algorithm selection. The most prominent features identified a high proportion of instances where the GA with Edge Assembly Crossover performed significantly better when solving to optimality. This work was supported by the Leverhulme Trust [award number RPG-2015-395] and by the UK’s Engineering and Physical Sciences Research Council [grant number EP/J017515/1]. Results were obtained using the EPSRC-funded ARCHIE-WeSt High Performance Computer (www.archie-west.ac.uk, EPSRC grant EP/K000586/1). Data Access. All data generated for this research are openly available from the Stirling Online Repository for Research Data (http://hdl.handle.net/11667/127).